Hezbollah mastermind Imad Mughniyeh (also spelled in a variety of transliterated Arabic-to-English ways: Moughnieh, Moughniyeh, Moughnia, Mugniyah, etc.) a/k/a “The Fox,” was assassinated in a car-bombing in Syria. Mughniyeh was Hezbollah’s top terrorist operation planner, whose massacres and other murders of innocent people involved the bombing of the Jewish Community Center and Israeli Embassy in Buenos Aires in the ’90s, the bombing of over 300 U.S. Marines and civilians in the barracks and U.S. Embassy in Beirut. 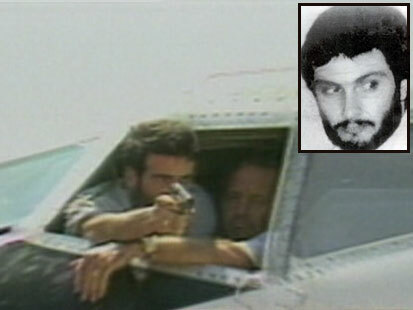 Most notable to me is Mughniyeh’s heavy involvement in the torture murder of U.S. Navy Diver Robert Dean Stethem in the 1985 hijacking of TWA Flight 847. 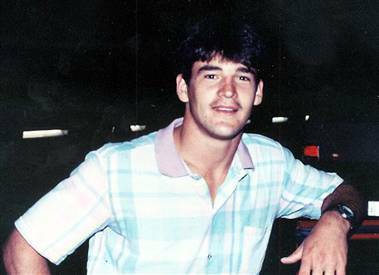 His photo was taken from the cockpit of the hijacked plane and he dumped out the body of the dear brother of my friends Patrick and Katherine Stethem. Mughniyeh was involved in the stomping murder of Stethem, whose crime was being a proud American who refused to denounce his country, despite the great torture they perpetrated on him. And that’s the problem. While Mughniyeh is now dead after a relatively full life, there are plenty of his supportive relatives and fans living in our midst on our soil, waiting until their critical mass is such that they can follow in his footsteps over here. In the meantime, many provide material support for and money launder to Hezbollah from here, under the “watch” of the deliberately blind eye of the FBI and Immigration and Customs Enforcement (ICE). That Mughniyeh is dead is great news. But actually not so great. He lived a long, full life in Lebanon, later a comfortable life in Syria, feted by its late and current Presidents, father-and-son Assad. His victims like Rob Stethem and so many others never had that chance. Yup, the same Syria that Condoleezza Rice a/k/a Condi Clueless feted last year. Same son Assad. It made no difference to her that this was the man who was shielding Mughniyeh, the mass murderer of Americans, Christians, Jews, Westerners. She didn’t care because she wasn’t related to one of them, and she wants a Nobel soooo badly. Predictably, Israel is being fingered, though the country denies it. Syrians might have gotten tired of him, too. Just waiting for Stephen Spielberg to make “Munich 2: Electric Boogaloo” about this kind man who loved puppies and plastic surgery (yes, Mughniyeh went under the knife to disguise his identity–like all “brave” Islamic terrorist cowards). Now–after 50-odd years on earth–that Abu Spielberg has finally gotten an epiphany that China is not exactly nirvana and decided to drop the China Olympics as a client, I hear he has some time on his hands. I hear from my sources that current Hezbollah chief, Sheikh Hassan Nasrallah, may be next. In preparation, Iran picked a new Hezbo leader. Stay tuned for that story. The new dude has strong Detroit/Dearbornistan ties, too. America, what a country. Hezbollah murders our own. Then, their relatives get to live here. Imad Moughnieh (or however you spell it in transliterated English), ROT IN HELL. One down, hundreds of milllions of other Hezbo supporters to go. May his name be blotted out and the names of the vermin who follow him. To whoever committed the deed, THANK YOU! Colonel William Higgines of the U.S. Marine Corp served in Lebanon within the UN peace keeping force. In 1988 he was kidnapped by Imad and other members of the terror group Hezbollah in the area of Tyre in South Lebanon. He was tortured for almost two years before he was killed in 1990. His body was found in a deserted street in Beirut in 1991. He was a very good man and friend. Is this a Fatwa for the Muslims in Dearborn and America? G-d bless the memory of Robert Dean Stethem. May we never forget him or what he endured at Hezbollah vermin hands. They should have cut his pint-sized pecker off and shoved it in his mouth for the whole moooslim world to see what a little c***sucker he was. I don’t understand why that terrorist rat Nasrallah remains alive. He was out in the open running around South Lebanon until Israel invaded in 2006. It’s high time Nasrallah took a dirt nap. God may bless heros like mogniyah. he is killing the real terrorists who killed millions in heroshima, nakazaki…who murdered millions in afaghanistan and iraq in vain. mougniya is the greatest hero and many will follow him until freedom and happiness conquers the world….